If you are a Jelly Bean user I’m pretty sure that by now you must have already been a victim of the very unusual sign-in error. 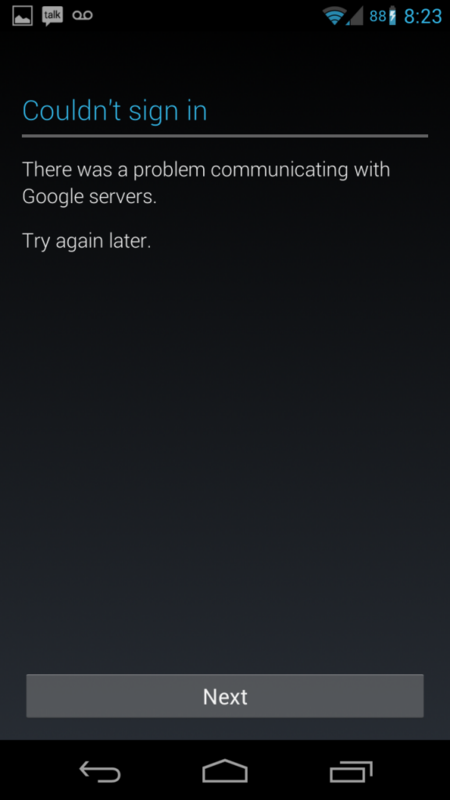 Apparently many Jelly Bean users have been complaining that they are unable to sign into their Google Accounts. Attempting to follow the onscreen “touch to sign in to your account” directions will fail and take you back to the error screen. Even though everything seems to work just fine the error message for some reason still remains intact. We tried downloading a few apps from the Play Store which were easily done without any issues. The Gmail app was the only thing giving a bit of trouble during the syncing process and Google are trying their best to resolve it as we speak. Will keep you all posted as soon as the problem seems to get fully resolved.